Dr. Egan is expertly trained and has over 10 years of experience. He received his MD from The George Washington University where he graduated with distinction in 1998. He completed his residency training in otolaryngology at The Boston University Medical Center where he was selected to be Chief Resident in 2003. Dr Egan is one of a few physicians in the area who is board certified in Otolaryngology Head and Neck Surgery as well as Sleep Medicine. 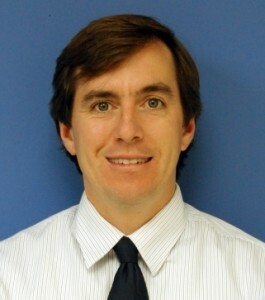 He is the Residency Site Director for the Walter Reed Otolaryngology Residency program at the INOVA Fairfax Hospital. He served as president of the Washington Otolaryngology Society. Dr Egan enjoys treating children and adults. He received extensive training in pediatric otolaryngology at Boston Children’s Hospital, the premier children’s hospital in the country. He treats children of all ages and routinely performs ear tube placement for chronic and recurrent ear infections as well as tonsillectomy and adenoidectomy. Dr. Egan is an expert in minimally invasive sinus surgery. He specializes in complex endoscopic sinus surgery including revision sinus surgery, image guidance sinus surgery, nasal polyps, chronic sinusitis and nasal airway obstruction. He also employs the latest techniques including in office balloon sinuplasty. A non invasive treatment for chronic sinusitis that can be performed under local anesthesia in the office. This is a great alternative for many patients. Since he is also Board Certified in Sleep Medicine Dr. Egan is in a unique position to treat people with snoring and obstructive sleep apnea. He has an expertise in both the medical and surgical management of snoring and sleep apnea. He interprets overnight sleep studies. Dr Egan has been married for 16 years and has four children ages 15, 13, 11, and 7. He travels to Bolivia annually where he is a member of a team that performs life changing surgeries on extremely poor patients with no access to health care. His practice philosophy is to listen to the patients and take the time to make the correct diagnosis before proceeding with treatment.